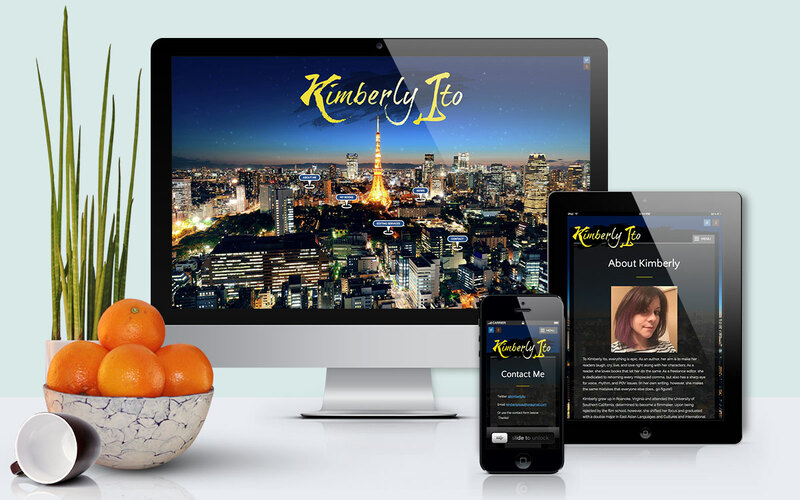 Author Kimberly Ito’s website is probably one of my current favorites. It’s not just because I’m being totally vain or anything, but it was a design challenge I readily accepted (I love challenges!). Kimberly wanted something that would showcase her writing and her style. She also preferred her homepage to be presented in a creative way, but at the same time, including her books’ usual setting — Tokyo. For the homepage, I figured our best option was to turn the links into something like map markers. It placed the user’s attention to the photo, but still be fully aware that the navigation is there. Since Kimberly didn’t have a logo, I whipped up a quick one with a script font and a watercolor background. I don’t ever use existing WordPress themes anyway, unless explicitly instructed. Every client has different needs, and I have to work around that. Hence, it’s easier for me to code from scratch instead of modifying an already-existing one. So, for Kimberly’s website, I created a custom module that will allow her to easily add “Books” as needed on her Books page without having to worry about code or layout. The elements would slot automatically in place.